When Jeopardy’s on, you can’t resist shouting answers at the TV. Pull out your Trivial Pursuit board – does it have a bit of wear and tear? And if you’re headed to trivia night at your local watering hole, wear comfy shoes. Odds are it’s standing-room only. People love to answer trivia questions, and in this digital age, quizzes are no longer confined to weeknight game shows or drinking establishments – we can get our quiz-fix just about anywhere. Perhaps the coolest thing about a knowledge quiz is that no matter what your business is, you can capitalize on the drawing power of a quiz. To boot, by slightly tweaking the structure of your quiz, you can use them to reach some pretty important marketing goals. This first type of quiz couldn’t be simpler – create a social media post that displays one question. 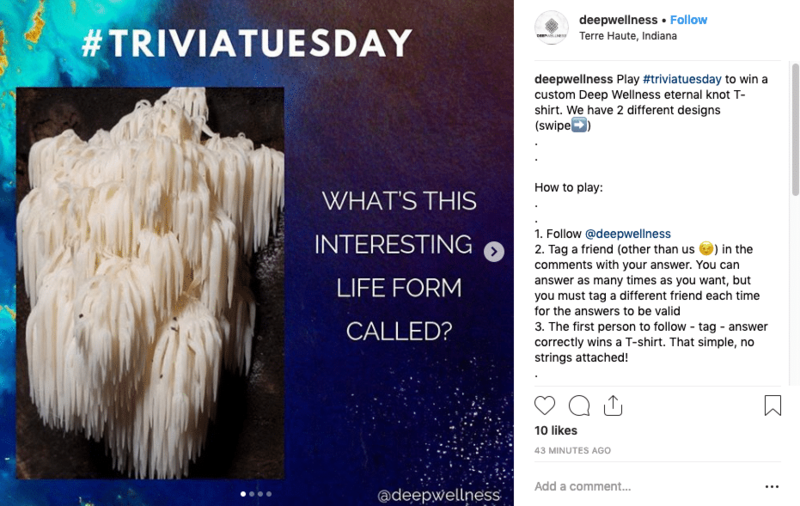 A mandatory step to participate would be, “Leave your answer in the comments.” You may also want to request that participants tag a friend and/or follow a profile. To select a winner, the comments can be imported into contest software, like ShortStack, where a comment can be chosen at random. In ShortStack’s entry selector, you can even filter the comments that include a correct answer. The benefits of these types of knowledge quizzes are twofold: 1. Posting trivia questions regularly will keep your audience attentive and engaged. 2. Inviting participants to engage with the post (i.e. “comment, tag a friend, follow us”) will not only increase your brand awareness, your reach will organically increase as well, allowing you to be seen by more of your followers. However, there are a few drawbacks to this simple knowledge quiz. The data you collect from it isn’t worth much beyond the quiz itself. In other words, collecting comments (even if you import them) leaves you only with profile handles and the comments themselves. What’s better? If you were to collect an actual entry in an entry form (including name, email address, etc.) you could add those leads to your mailing list and use them for further marketing. Sometimes, the best way to show someone how much they know is to show them how much they don’t know. Perhaps you’re a handyman and want to show your followers the importance of proper household maintenance. Questions like, “Why should you drain your hot water heater tank?” can help illustrate why it’s crucial to have a good handyman in their back pocket. A quiz like this can also be paired with an entry form. This would be an opportune moment to allow participants to ask additional questions or even subscribe to an email list. You’ll be top-of-mind when a handyman-worthy problem arises and they need someone to call. In this age of heightened data security, it’s harder than ever to convince participants to part with their private information. However, the enthusiasm generated by quizzes gives you a bit of leverage. Combine your knowledge quiz with a giveaway to incentivize a form entry even more. The allure of a juicy prize could be that extra bit of convincing needed to collect that highly guarded contact info. In this example, the quiz results are gated behind the entry form. When the participant completes the quiz, they’ll see, “Enter here to reveal your quiz score and an entry in our giveaway!” Seeing the much-anticipated quiz result as well as the chance at winning a prize would be a hard thing to pass up. A knowledge quiz doesn’t always have to be a test of one’s knowledge. You can also use it as an assessment tool to qualify potential customers. If you’ve ever purchased a life insurance policy, you may remember answering a number of questions like, “Do you have any dangerous hobbies like scuba diving, base jumping, or rock climbing?” These types of questions help life insurance providers understand if you’re at a high risk for a payout. Any business can use a type of assessment to find a qualified lead. 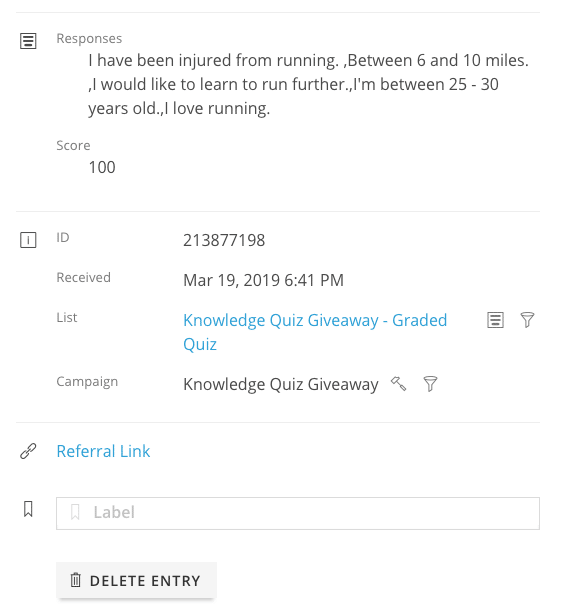 For example, if you’re a running coach looking for new clients, build a quiz with a topic as simple as, “Do you need a running coach?” Reading through the entry results can help you determine which participants may need a follow up from you with a discount offer for coaching sessions. The crucial ingredient for this type of lead qualification to work is to collect each entry — with each question’s response — into a database. As big-brained homo sapiens, we’re enthusiastic collectors of knowledge, which may be why correctly answering quiz questions is so satisfying. 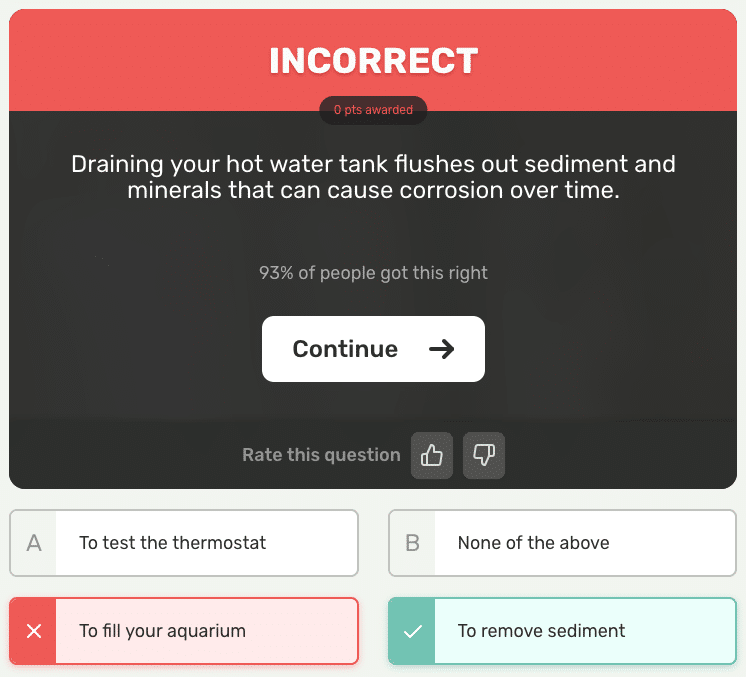 Quizzes give us a chance to show off our curated collection of facts. Knowing random tidbits about sports teams, one-hit wonders of the 1980s, or even 19th century ballet dancers is something we are proud of. It’s simple to capitalize on the drawing power of a good quiz. 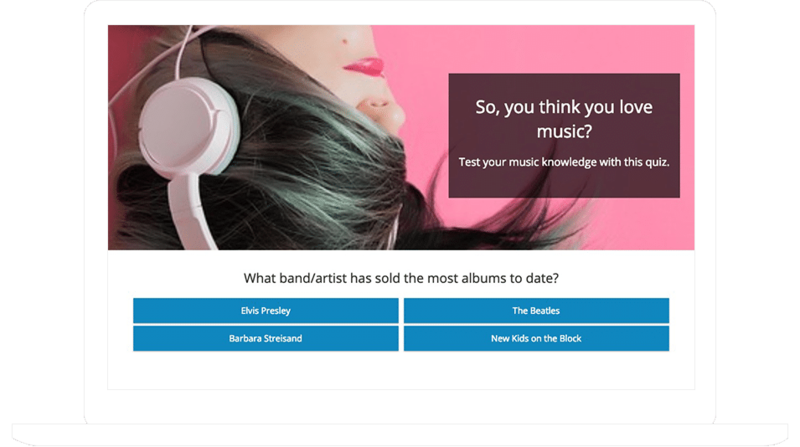 Doubled with some smart marketing practices, knowledge quizzes are a sure way to help you boost engagement, grow your email list and ultimately get more sales.